Along with the Busan Cinema Center, various film-related facilities – like the Busan Post-production Facility, the Busan Cinema Venture Center, the Busan Community Media Center, and the Busan Culture Contents Complex – are located in the Centum Innovation district. The infrastructure of the visual industry has been established to lead film production, the film industry and the popularization of art films. To establish a visual industry cluster, along with public and private sectors, the Korean Media Rating Board and the Game Rating and Administration Committee were relocated into the Busan Visual Industry Center after the completion of the first phase of its construction and now the center’s construction is on the second phase. In addition, the Busan Asian Film School opened in October 2016, aiming to foster film professionals in Asia and the Korean Academy of Film Arts, established by the Korean Film Council, plans to move to Busan in 2018. A cinema museum in Nampo-dong, the historical cradle of Busan’s film-making industry, is also currently being constructed. With this, it is expected that Busan’s city brand value as a ‘hub of the Asian film industry’ and ‘the most prominent cultural city in Korea’ will soon reach historic heights. 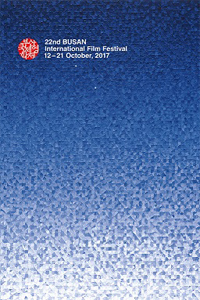 The title, City of Film, owes much to the annual Busan International Film Festival and Busan International Short Film Festival. However, what really promotes the city as a film hub of Asia is a firm determination of the city authorities and the citizens natural love of film. ※ Since February 24, 2011, the official festival name was changed from ‘Pusan International Film Festival’ to ‘Busan International Film Festival’.